An outdoor shower was on the list of must-haves even before we started searching for a beach house. Not that a bungalow near the beach had to have one before we would buy it, but we planned to install one once we found the perfect seaside escape. We did eventually find our little piece of paradise and have been making it “ours” ever since. The latest step was to add the essential outdoor shower for all of those sandy feet! Our new outdoor shower. Goodbye sandy feet! After researching the existing options, which ranged from inexpensive and flimsy (and according to reviews, leaky) to extremely expensive, we decided to build one to our own design. Jody has a knack for knowing exactly what she wants and relating that to me. I have a knack for asking questions of home improvement store personnel to find the best way to accomplish her designs. The following is the result of that effort. First of all, we had to have a stable base and mount. The inexpensive showers had a portable base but were not very stable. The expensive ones were fastened to a stable base that had probably already existed (a deck, exterior wall, or the like). We didn’t want the shower to be too close to the house foundation so our first thought was to use a freestanding 4×4 treated post. They are durable and very stable when concreted in. They are however, pretty ugly. To resolve the ugly part we decided to cover it with a vinyl post sleeve (easily found at home improvement stores). Next, we needed to make a decision on the plumbing. We chose PVC for ease of assembly, looks, and pricing. Then came the drawing phase to determine how many and what parts we would need and how to arrange the valves so that we could use either the foot shower, head shower or both. The following was our shopping list (We prefer shopping at Lowes because they honor veterans with a 10% discount). Oops! We bought one too many 90° elbows. Construction screws, torx head (stronger and easier with no pre-drilling necessary). Sound expensive? Minus the paint, cutter, screws and glue (all of which I already had) the total was $69.65 after tax (with my 10% veterans discount). You can see that you too can have your very own outdoor shower for well under $100.00! First pick the spot you want to permanently install your shower. Use a shovel or post-hole digger to dig a little over a 2 foot deep hole with a sufficient diameter to allow for the concrete. The wider the hole, the more concrete you will need. (The hole I dug was about a foot across.) Place the 4×4 post in the hole and check the depth of the hole is sufficient by standing the fence sleeve next to it. The sleeve should stand 2 or 3 inches higher than the 4×4 post. Adjust as necessary. Mix the concrete according to instructions and fill the hole around the pole at least half full while checking with a level for straightness on 2 adjacent sides. Use bracing if it won’t stand level on its own. Let the concrete sit overnight to set up. The next day you can fill in the rest of the hole with the dirt from digging the hole. Pack it well so the surface won’t sink later. Use a ladder to place the sleeve over the post. Don’t forget to place the cap on the sleeve first! The sleeve is 5×5 and the post is 4×4, so expect slop. We dealt with that when we mounted the plumbing and will cover that when we get there. Fits together like a puzzle. Just add three connectors. Now you can start assembling the plumbing. The following measurements are for the height we chose for our top shower head (7 feet). First cut 5- 2inch pieces from your 10 foot pipe. These will be used as connectors. Then a 6 inch, a 21 inch, a 23 inch, a 32 inch, and a 5 ½ inch piece. I put the whole apparatus together to be sure I was on the right track – and then took it apart for the gluing process. Follow the directions for your PVC glue kit. Be very careful when you start to glue these together to make them as straight as you can as you only have seconds to adjust them. NOTE: Any twisting after a minute or so runs the risk of not sealing properly and leaking at a later time. Start by priming and gluing the ½” sleeve to ½” thread fitting to the 6” inch piece. This will be the bottom and where the garden hose fitting will go. Prime and glue a 90 degree elbow to the other end of the 6” pipe piece. Prime and glue a 2” connector to the other end of the elbow. Set aside for now. Prime and glue a 90 degree elbow to one end of the 21” piece of pipe. Now you will have enough pipe to better judge vertical straightness. To this point straightness isn’t a concern. Here after it will be. You need to decide which side of the pole you want your garden hose fitting before you move on. Take up the first parts with the already primed connector piece and glue it to the already primed elbow from the 21” pipe. Check that it stands straight up with the first assembly flat on the floor and the bottom angles around to the side you picked. Give it a few seconds to set up. Next I assembled the foot shower stem so I would have more area to judge straightness. To do this prime and glue a ½” sleeve to ½” thread fitting to a 2” connector piece. Prime and glue the 45 degree piece to the other end. Prime and glue a 2” connector to the other end of the 45 and then the globe valve to that. Try to keep the valve handle where you’re going to finally want it (I kept ours facing up). Prime and glue a 2” connector to the other end of the valve. Screw your shower head onto the treaded end and your ready for the next step. Prime all three ports of the T connector to prepare it. NOTE: (Look carefully at the T. See how 2 ends are pass-through and one end is tie in.). Without applying glue, put the foot shower assembly into the tie-in port of the T connector. Apply the glue to the already primed 21” vertical pipe and place a pass through side of the T connector on it so the foot shower assembly is straight out. Give it a minute to set up. Remove the foot shower assembly from the T, apply glue and reinsert it making sure it faces straight down. Prime and glue the 23” pipe to the top of the T connector. Prime and glue the second globe valve to the other end making sure the valve handle faces the same direction as the foot showerhead. (You don’t have choices here as the pole would interfere with operation if not facing out.) Prime and glue the 32” pipe to the top of the valve. Next assemble the top showerhead assembly by priming and gluing the last ½” sleeve to ½” thread fitting to the last connector piece. Glue that to the last 45 degree fitting and that to the 5 ½” pipe. Without gluing, put the last 90 degree elbow onto the top showerhead assembly. Apply glue to the top of the 32” pipe and put the showerhead assembly elbow onto it making sure it’s straight over the foot wash. Wait a minute for that to set up then remove the overhead shower assembly from the elbow, apply glue to the pipe and reinstall it into the elbow making sure it’s facing down. Wait 5 or 10 minutes after last glue application for everything to set up. Now you can attach the assembly to the pole. Here is where you deal with the sleeve slop. This will depend on which side you placed the garden hose attachment. We took it to the right as you faced the pole, so we pushed the sleeve back and to the left to put the front and right sides of the sleeve tight to the faces of the 4×4 pole underneath. Adjust the sleeve to the pole. Be sure to raise the hose connector section off the ground before you add the straps. You really need someone to help with this. They can hold the sleeve and the assembly for you while you screw in the clamps. *Make sure the bottom of the shower piping is a placed couple inches off the ground so you have room to attach a hose. * Center the assembly and start screwing on the clamps. Keep them close (but not too close. 2 inches is good) to the valve fittings for stability and strength. You don’t have to overdo it just place the clamps wherever you feel you need them so the piping doesn’t move when you turn valve handles or adjust shower heads. You will need to unscrew the shower heads, apply Teflon tape and reinstall them. Also use the Teflon tape when you screw the ½” tread to garden hose fitting on the bottom. Now is a great time to stand back and admire your handiwork, but you’re not quite done yet. That issue I mentioned earlier about PVC usage has to be dealt with. PVC is very susceptible to UV (sunlight). To make your beautiful work last and deal with all that purple from the primer (not to mention the printing on the pipe) you need to paint it. Not the whole sleeve, just the front pipes and clamps. That is why you use the semi-gloss paint, to match the sheen on the rest of the sleeve. Tape off the valve handles first. Carefully spray paint the pipes, clamps and screw heads. Don’t try to cover everything first coat or it will drip. Put a few coats on until you’re happy with the results. Note: give the shower assembly 2 hours to fully cure before you apply water pressure. Place your pavers, or whatever you chose, for the footing. After all, there is no sense in having a muddy base for a foot shower! Now you are ready to enjoy your new outdoor shower! Greg and I recently spent some time at Walt Disney World in Florida. The Magic Kingdom was more crowded than we had ever seen it. Spending time with family was wonderful, but I’d bet you can guess where the real magic happened! Pick a beach! Any beach! So many beaches. So little time. A Beach Just for Us! Our choice for the morning. Sandy toes are the best kind! It was at Disney’s Caribbean Beach Resort! That’s my kind of magic! New York City Beaches Make the Grade! A while back, Greg and I visited New York City to attend a fabulous wedding at Terrace on the Park in Queens. Having decided to make a vacation out of the long trip from Albuquerque, we squeezed in some of the typical touristy stuff. You know, enjoying the hubbub in Times Square, strolling across the Brooklyn Bridge, taking a ride on the Staten Island Ferry, going to a ballgame. There is so much to do and see in New York City. The one thing we couldn’t miss, of course, was a trip to a Big Apple beach! The bride and groom highly recommended Rockaway Beach, the city’s only surfing beach, in the borough of Queens. So… we checked with our handy, reliable HopStop phone app, hopped on the bus, and set out to enjoy the day! And enjoy the day we did. Rockaway Beach is a beautiful stretch of sand that was strewn with super sized Atlantic Surf Clam (Spisula solidissima) seashells the day of our visit. And I mean they were huge! NOAA‘s FishWatch site says that Atlantic Surf Clams are “the largest bivalves in the western North Atlantic.” They actually range all the way from Nova Scotia to South Carolina. These popular beach treasures can grow to over 7 inches across, making them the perfect soap dishes! Seashell hunting was no challenge. The real challenge and fun of the day was the friendly beachcombing competition to find the most jumbo seashell specimen we could. It was a win-win day! Running the length of the beach was a well-kept boardwalk with maintained public restrooms. It’s easy to see by the early morning activity that Rockaway Beach is indeed one of New York City’s most popular beaches. This favored municipal beach rated a “very good” in the 2011 biennial survey compiled by the advocacy group New Yorkers for Parks. Along with Rockaway Beach, Coney Island also rated “very good.” (In the survey, no beaches were rated “unsatisfactory,” as was the case for a couple of beaches in the previous two reporting surveys.) It’s always nice to bring home a good report card! ♪ ♫ “Start spreading the news…” ♪ ♫ New York City’s beaches are Grade A! Do you have a favorite New York City beach? We’d love to hear about it! Happy Monday! I just found some of these little beauties on Maggie’s site and thought it was a great time to share these pocket-sized stress-busting beach treasures once again. We’re always looking for ways to use our special beachcombing finds. Here is just one more idea for putting those beach treasures to good use ~ everyday! You may have heard of worry stones (or pocket stones) – those little, highly polished pieces of gemstone with a slight indention for your thumb. I’ve often seen them for sale near the cash registers of gift shops and kitschy boutiques. They can be kind of pricey. Rumored to have originated in Ancient Greece, when held between the thumb and forefinger, worry stones are supposed to relieve stress and reduce worries. Light enough to keep in your pocket, you can readily fidget with one in stressful or nerve-racking situations. Today’s Featured Guest Writer is Andrea. This resort city on Cyprus’ shore has a unique vibe to it, which has earned its reputation as the perfect place to have parties that start in the afternoon and last all night long, everyday thanks to this Mediterranean island’s warm climate. Ayia Napa is home to the largest water park in Europe: Water World. The medieval monasteries on the coastline overlooking the blue waters of the Mediterranean are open for visitors every day, making Ayia Napa’s beach an interactive and family-friendly destination. Organized cruises take tourists to sea, where they can dive the blue waters of the Mediterranean and explore the colorful marine life. Have you ever wondered what the perfect sunset looks like? Then you should come to Negril Beach on the Caribbean island of Jamaica and see for yourself. The sunset at Negril Beach is considered one of the loveliest on the planet and attracts numerous honeymooners and couples on the Jamaican beach of Negril. Seven Mile Beach is the largest beach in Negril and, just as its name implies, is a seven miles stretch of sand. A small corner of paradise on the island of Kauai in Hawaii, the golden sand beaches enclosed by tall palm trees await tourists on the sunbathed Poipu Beach with numerous attractions. The secluded beaches and romantic promenades make Poipu Beach one of the premier honeymoon destinations in the Hawaiian Islands. The island of Kauai offers numerous outdoor activities, from water sports to mountaineering. Tourists can try mountain biking or hiking up the neighboring mountains. Water sports enthusiasts can kayak, surf, scuba dive, or fish. If you are in search for a less crowded beach, then the Tasmanian shores are the answer. Adventure Beach is one of those places in the world that have not yet been invaded by large resorts and luxurious hotels, where life still unwinds at a slow pace. The long sandy beach is the perfect place to sunbathe, swim in warm and friendly waters, and relax in a hammock under the palm trees. The neighboring mountains are just waiting to be explored by nature lovers. Many nearby hotels are eco-friendly. 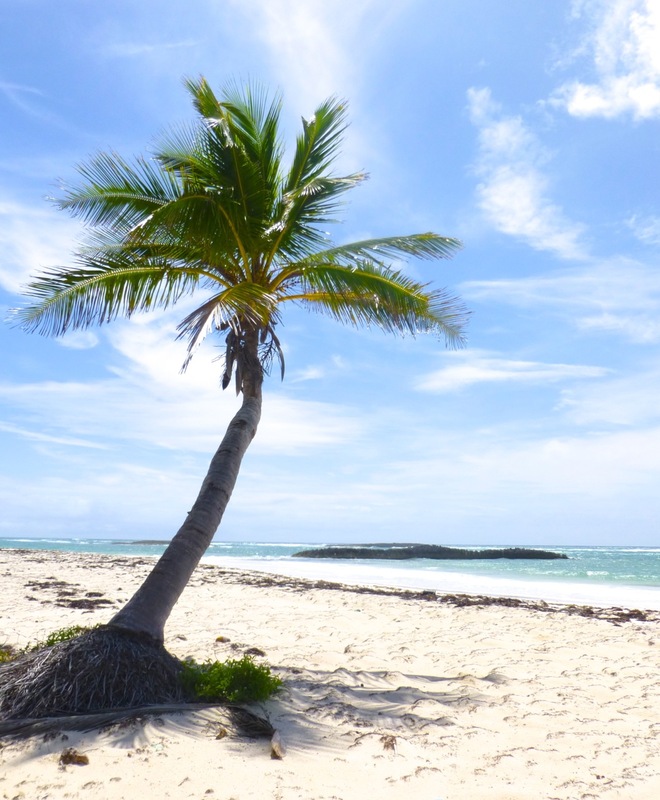 Caribbean postcards usually have one thing in common: Punta Cana Beach. It is the ultimate picture-perfect retreat, with crystal-clear waters and coconut trees swaying in the wind, all in the vicinity of a rich tropical forest. Located on the eastern coast of the Dominican Republic, Punta Cana means “Point of the White Cane Palms” and was named after the cane palms which grow in the area. Here, 40 kilometers of beaches overlook both the Caribbean Sea and the Atlantic Ocean. Punta Cana Beach is home to numerous all-inclusive resorts. Opening up to the Caribbean Sea, Playa Blanca is the most popular resort on Punta Cana Beach. Playa Blanca means “white beach” and owes its name to its white sands. About the Author: Andrea is a Blogger and Write from UK. She loves to write articles on various categories like Finance, Technology, Travel and Health. As of now she is doing a research work on ukba. ~ Oh well, there are plenty of other beaches to comb! 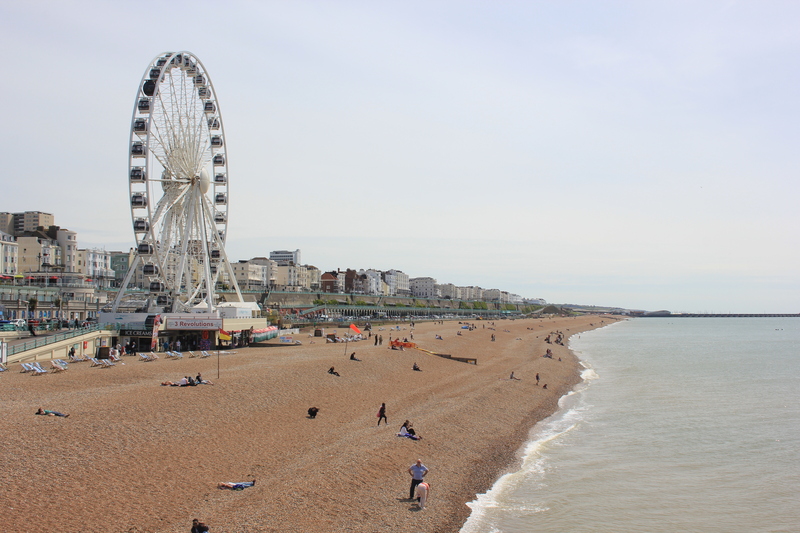 You can read our family’s very own Brighton Beach memoir here: Brighton ~ A Top 10 British Memory. We left the Brighton Wheel and headed off up the pier for the rides. 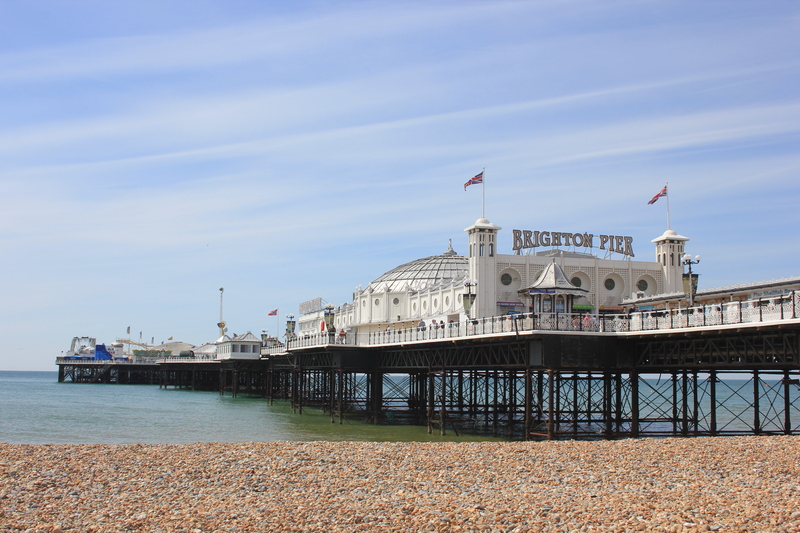 Brighton Pier started off life as the Palace Pier, built in 1823 to service passenger ships arriving from Dieppe. 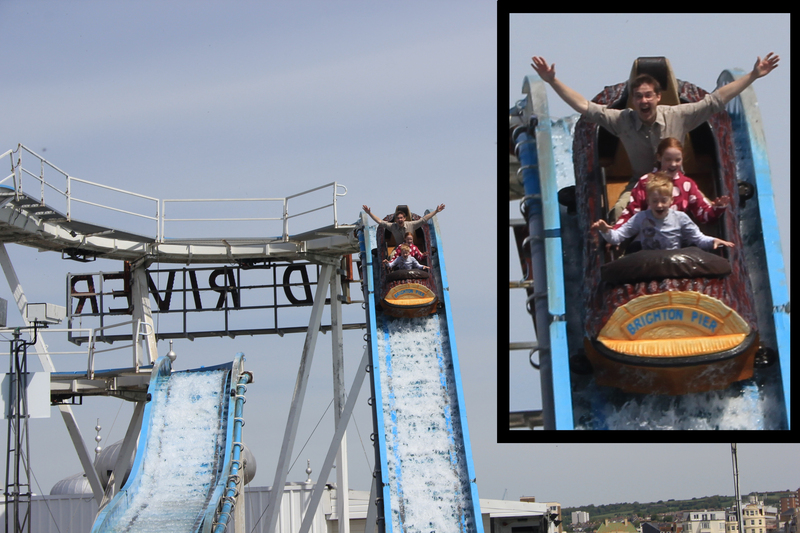 Over the years it grew and grew into the attraction it is today. I was quite astonished to find that over its long history it has not once been destroyed by fire, flood, or fractious young fellows with far-fetched foibles (ie kids with matches). 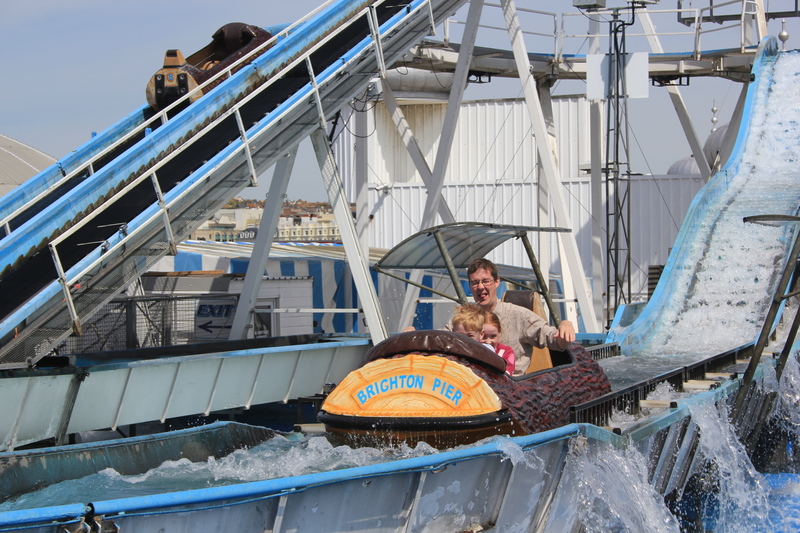 Compared to many of its brethren, Brighton Pier has fared well over the years. As we walked up there were good views back to the east. 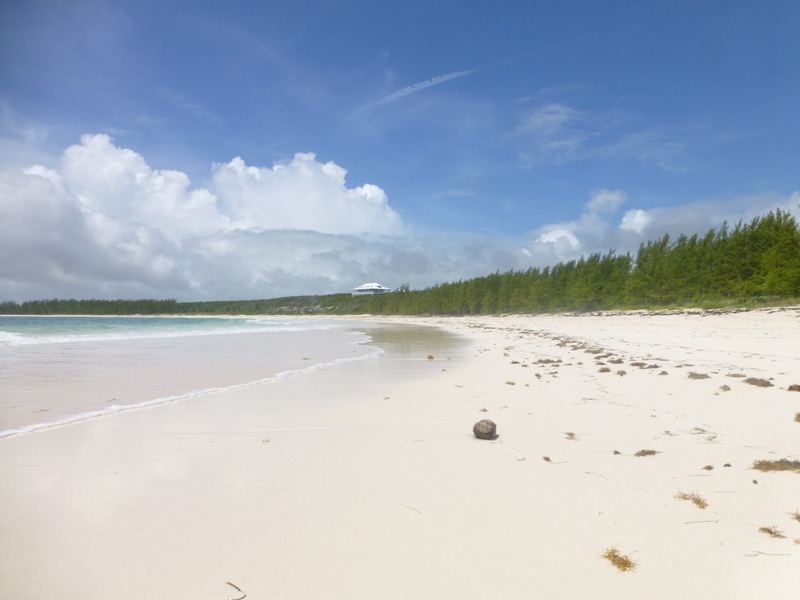 The Abaco bay known as Rolling Harbour is a 3/4 mile curve of white sand beach, protected by an off-shore reef. The beach is pristine. Or it would be but for two factors. One is the seaweed that arrives when the wind is from the east – natural and biodegradable detritus. It provides food and camouflage for many species of shorebird – plover and sandpipers of all varieties from large to least. The second – far less easily dealt with – is the inevitable plastic junk washed up on every tide. This has to be collected up and ‘binned’, a never-ending cycle of plastic trash disposal. 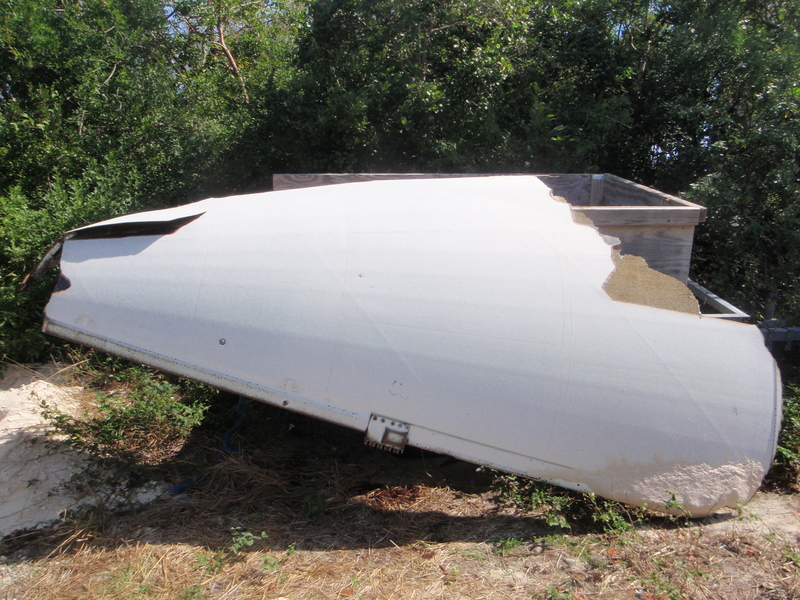 Except for the ATLAS V SPACE-ROCKET FAIRING found on the beach, that came from the Mars ‘Curiosity’ launch.